Ex-wife, Sam Nichols. Father, Brian Carroll. Half-sister, Rihanna. Shambolic and cynical, Dylan Keogh’s last post was as a country GP. He likes to keep his personal life private and lives on a house boat with his main love, dog Dervla. Blunt with his patients, Dylan loves intriguing cases. During the series we learn a surprising secret when Sam Nicholls joins the team and reveals that she is his estranged wife. 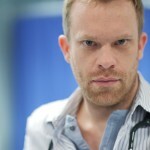 S25 E28 – Dylan makes his debut to Holby. 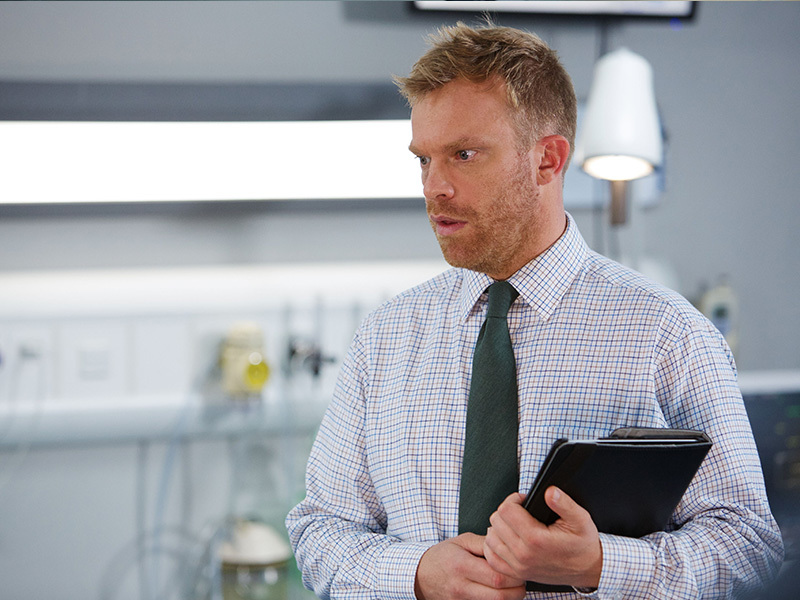 S25 E30 -the team gossip about Holby’s latest doctor, Dylan, and Zoe is horrified to learn that Dylan was standing behind her all along. Throughout the day, Dylan rubs most of them up the wrong way with his brazen disregard for the rules, coupled with his know-it-all attitude. 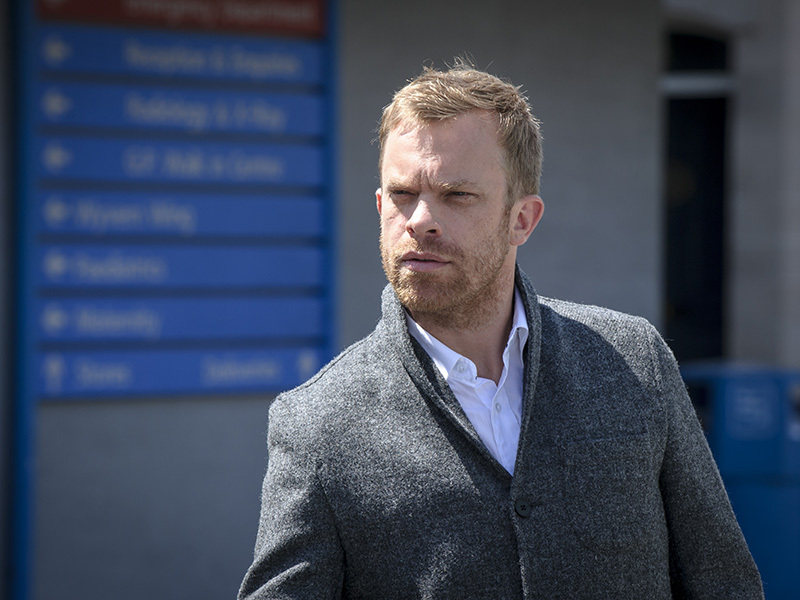 Zoe softens a little, though, when Dylan persists with a treatment, which he feels is the best thing for his patient, despite being threatened with a lawsuit. S25 E34 – Hannah has stabbed Polly in revenge of Dylan’s attitude towards her. 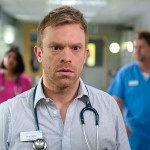 S25 E39 – Zoe tries to persuade Dylan to return to work, but he’s feeling too guilty about Polly’s death to enter the ED. But when a curious case turns up which has the team at loggerheads, Dylan’s interest is piqued. 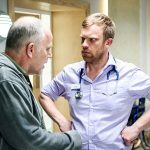 S25 E43 – Dylan is bored of the Clinical Decision Unit. He only wants exciting, unusual problems to solve. No more dull patients. When homeless girl Becca arrives, brought in following a violent attack, Dylan diagnoses night blindness, but later she appears on his doorstep needing a place to stay. S25 E44 – Dylan offers sick street girl Becca a place to stay for the night but finds himself in serious trouble when Jordan finds out she’s only 15. 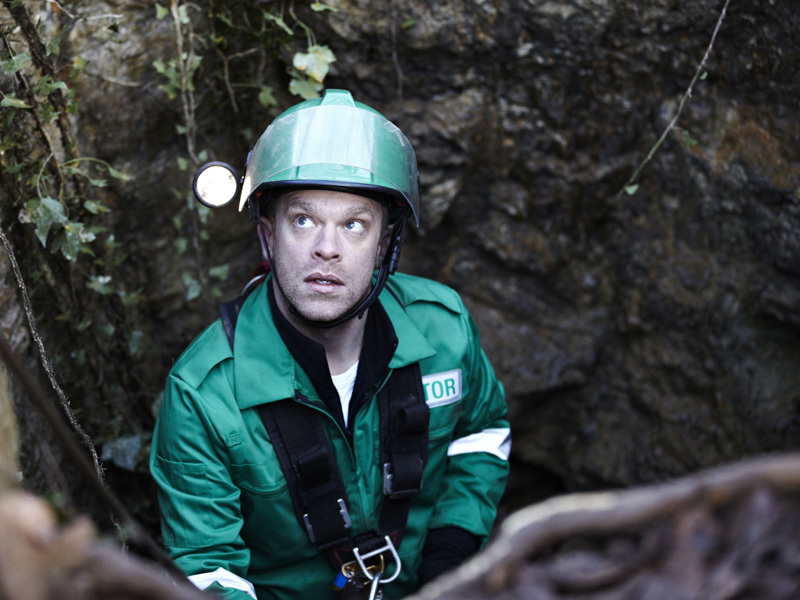 S26 E4 – Zoe is surprised to discover that Dylan is a Basics volunteer, helping paramedics at the scene of accidents. But later, in a rare moment of openness, Dylan reveals the real reason for his altruistic behaviour. 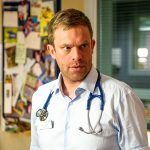 S26 E10 – Dylan is shocked to meet new recruit Sam in the ED and it’s clear they have history – especially when Sam mocks Dylan’s claim to be the “Sherlock Holmes” of medicine, much to Zoe’s watchful delight. 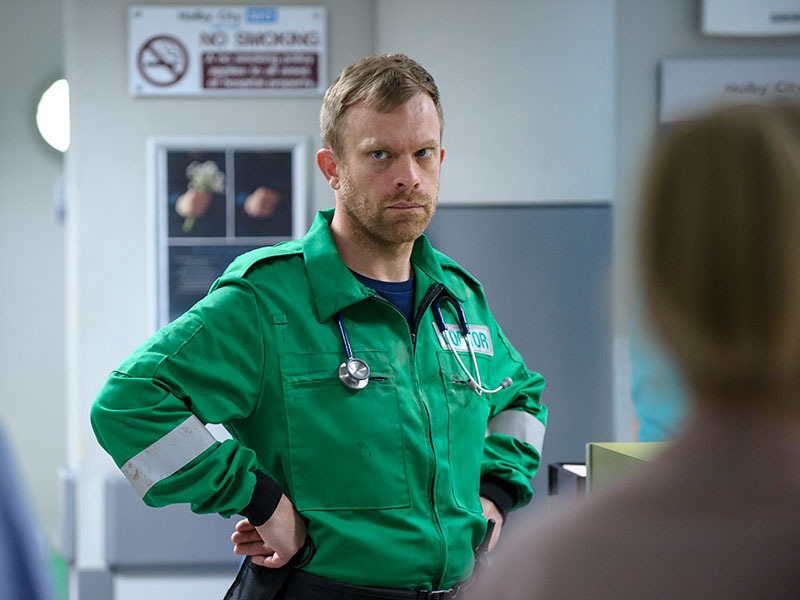 S26 E12 – Frightened young girl Esther comes into the ED and her “mother”, Saskia, takes an instant dislike to Dylan. 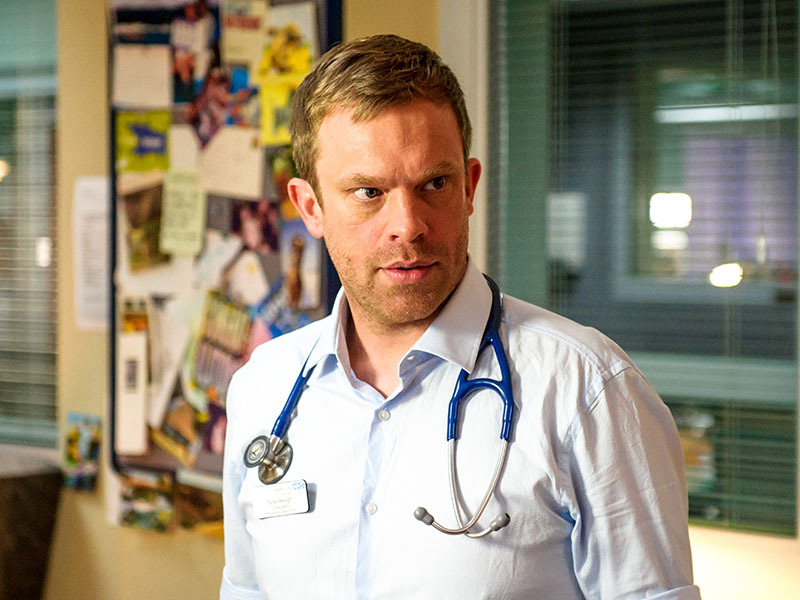 Dylan soon realises that Saskia is not all she seems, but goes beyond the call of duty to help Esther. S26 E13 – Dylan and Sam put aside their differences to diagnose a mystery condition and help a young teenage mother keep her baby. 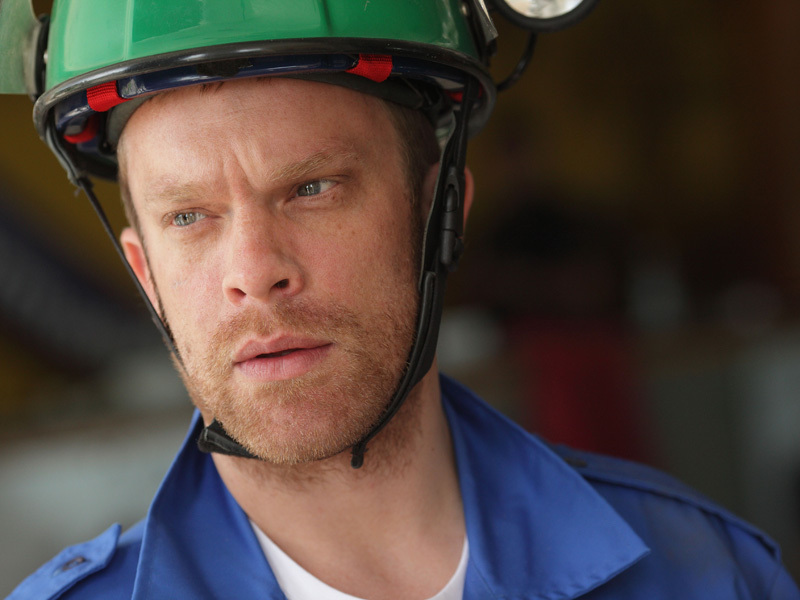 In In S26 E17, Holby ED is at full stretch following a gas explosion. 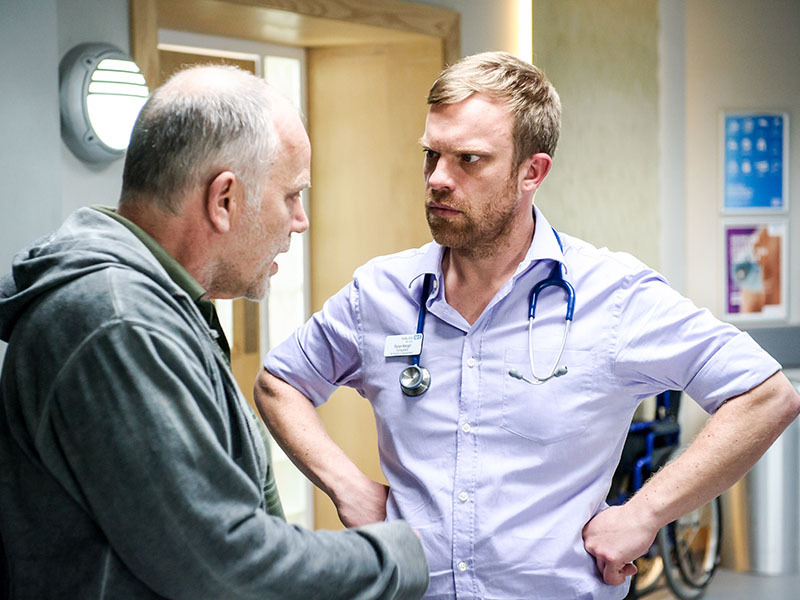 A patient lashes out at Dylan but Sam restrains him with a physical head lock. 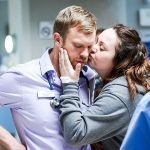 S26 E16 – Zoe & Dylan are trapped in resus following a fire, whilst his marriage to Sam is revealed. 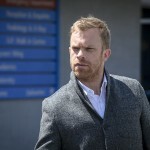 S26 E18 – Dylan accuses Sam of interfering when her attempts to reunite a dying patient with his ex-wife go awry when it turns out that it was his former lover he actually wanted to see. 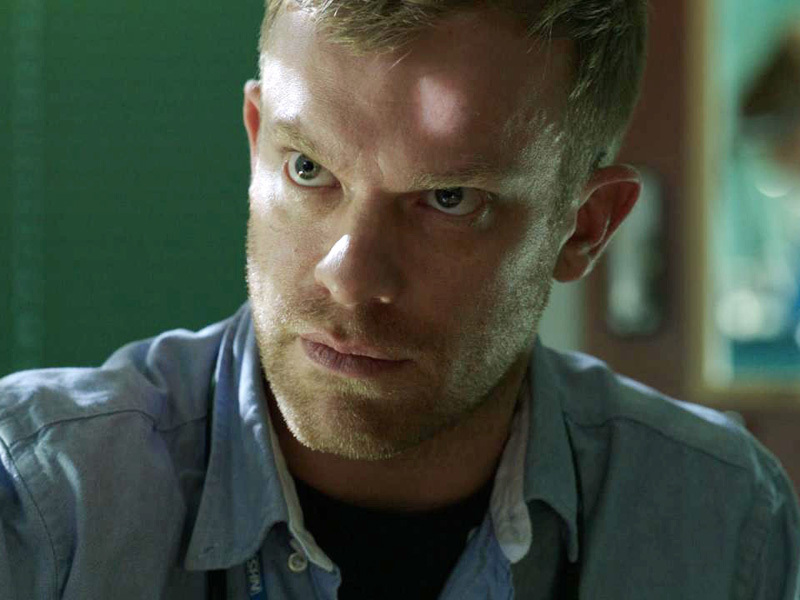 S26 E20 – Homeless alcoholic Duncan gives Dylan a run for his money when he’s brought into the ED after his trolley of belongings catches fire. 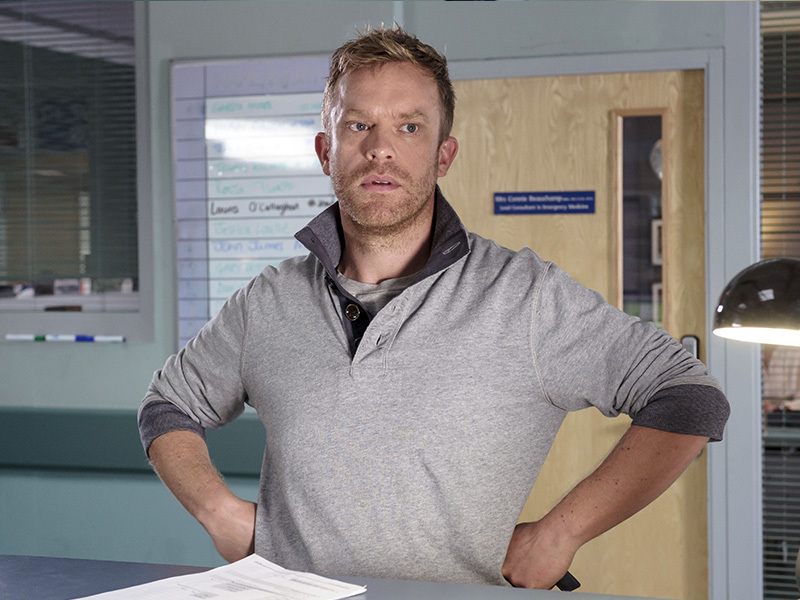 Dylan is surprised to find someone ruder and less cooperative than himself, but realises there’s more to Duncan than meets the eye. Dylan shows a softer side. 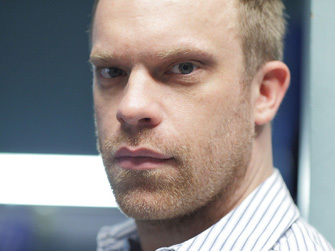 S26 E28 – Following the allegation of assault against Sam by a patient’s relative, she gave a headlock, a GMC official, is in the ED to conduct interviews with Sam’s colleagues. Dylan goes out of his way to try to avoid the grilling. 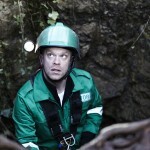 S26 E30 – Two dog walkers become trapped undergound and Sam heads a team to rescue them. 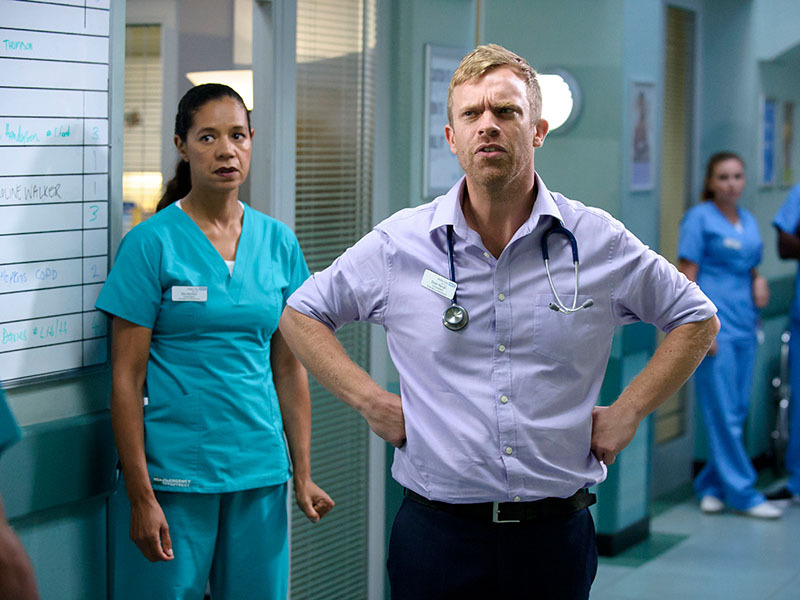 Dylan arrives for extra back up and the pair are forced to put their differences aside to treat them. 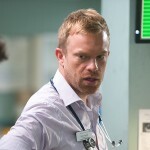 S29 E20 – Dylan is on a board of inspectors marking the hospital. 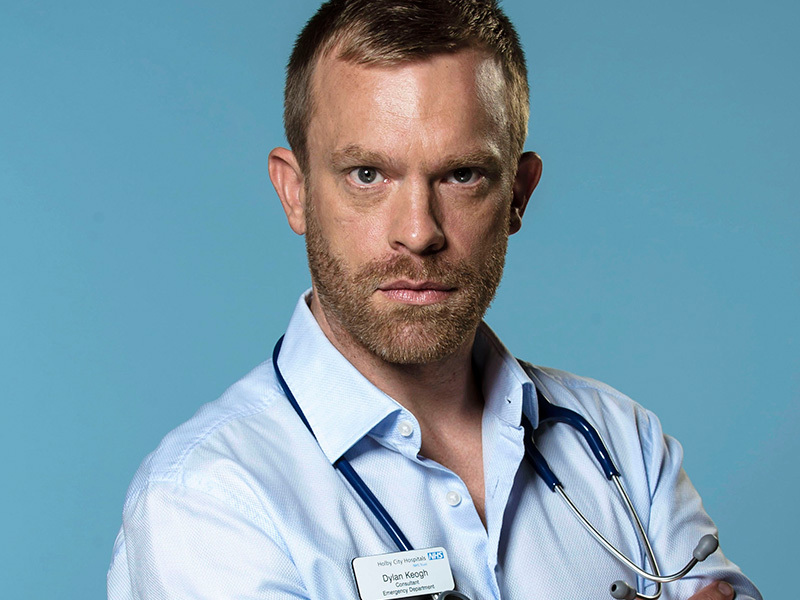 S29 E33 – Dylan is brought in as acting Clinical Lead. S29 E34 – Dylan’s bubble is burst by the return of Connie. 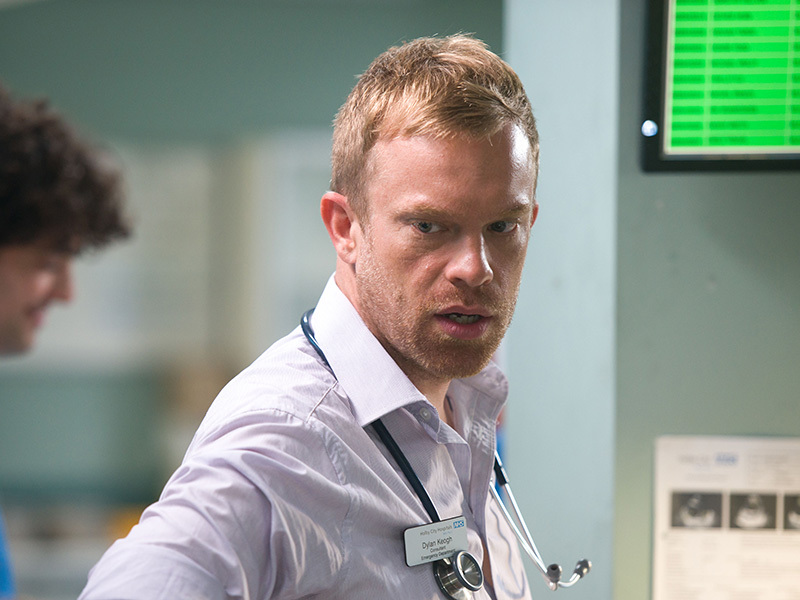 S29 E35 – Dylan is left devastated by the death of a patient. 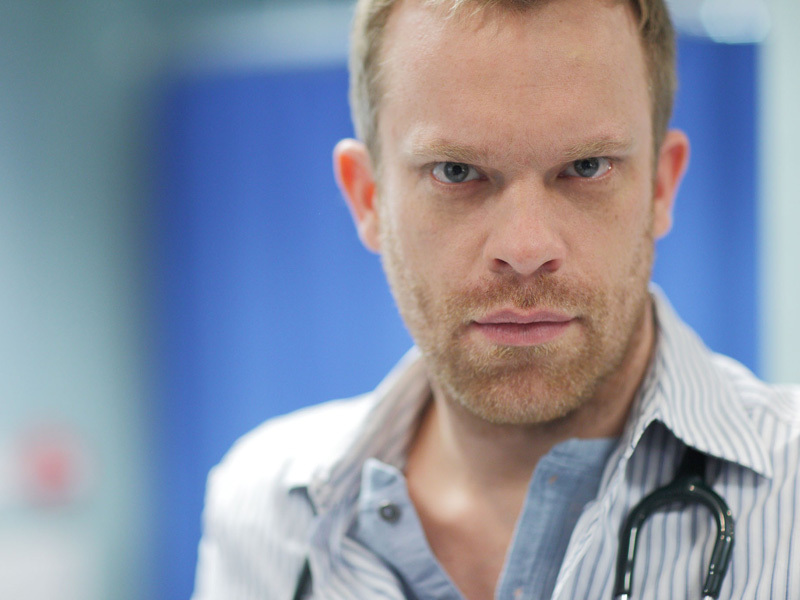 S29 E38 – An obsessive Dylan is worried Bay 4 is unlucky when all 3 of his patients die there. S29 E40 – Dylan’s fear of the number 4 nearly costs a patient their life. S29 E42 – Rita reports Dylan’s strange behaviour to Zoe. S29 E43 – Dylan struggles when his estranged father Brian is brought in after crashing his truck. He is forced to overcome his fear by working in Bay 4 but later takes his frustration out on Dervla. S29 E44 – Connie is forced to sign Dylan off following a breakdown. 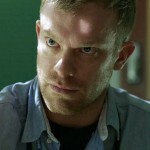 S29 E45 – Zoe tries to help Dylan overcome his problems but he is slightly elated when Dervla shows up. S30 E1 – Dylan is in deep shock and suffering burns after his boat catches fire at the wedding. S30 E2 – Dylan is suffering from mental health issues and acknowledges that he needs help. 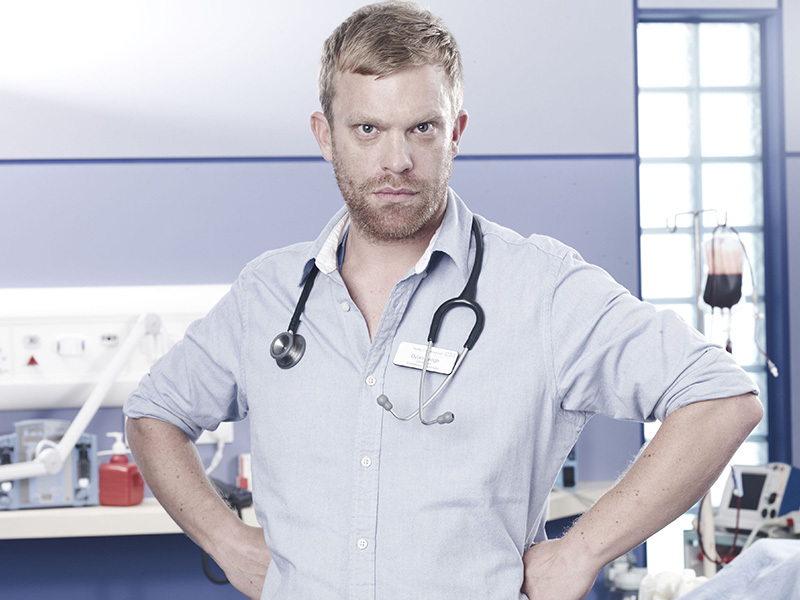 S30 E6 – Dylan and Lofty work together to help a hapless patient. 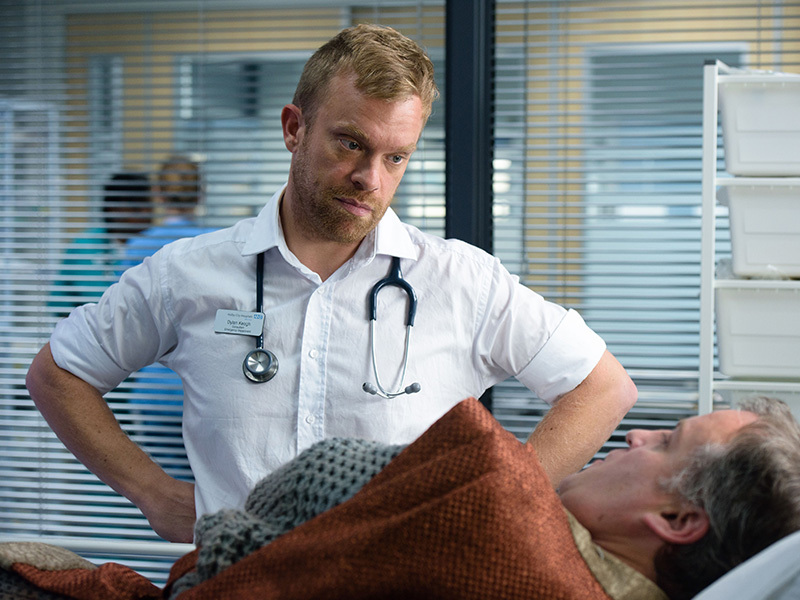 Dylan confides in Lofty who offers to take care of Dervla while he gets back on his feet. 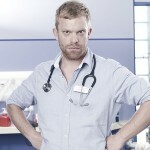 S30 E7 – Dylan is determined to prove his worth to Connie so he can stop treating minor patients. 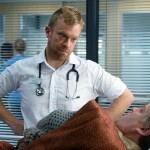 S30 E26 – Dylan is put in front of the panel following Lofty’s involvement after nurse Diana’s death. S30 E31 – Robyn tries to force a friendship with Dylan who is still missing Lofty. 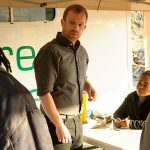 S30 E35 – Dylan gets a nasty surprise when his father Brian turns up after he accidentally locks his daughter in his car. 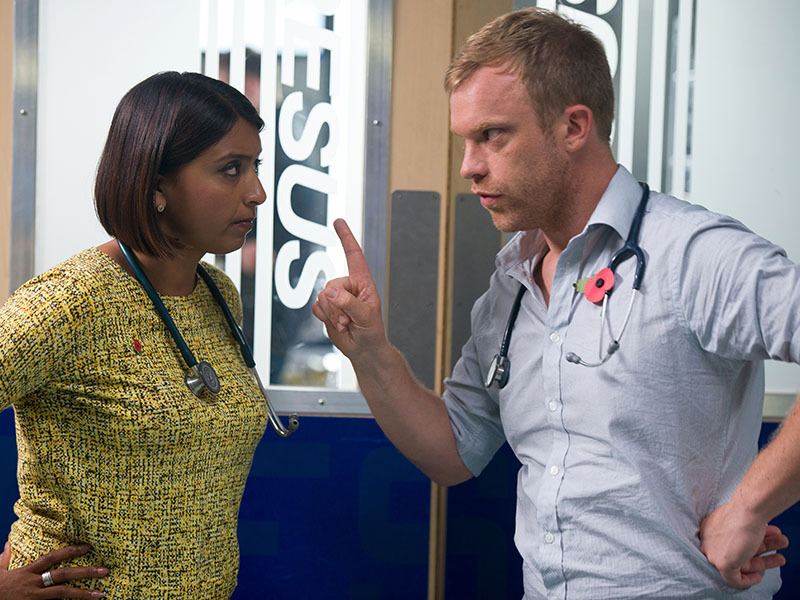 Brian apologises about his behaviour towards Dylan. S30 E39 – Dylan struggles when his father and baby sister are brought back on the ward. S30 E41 – Dylan tells Brian he is not fit to be a father when he causes a fire that’s puts his family’s lives in danger. S31 E10 – Cocky new F1 Seb joins the team and Elle decides to make Dylan his mentor. 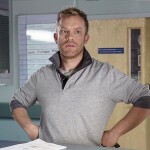 S31 E11 – Dylan sympathises with Seb when he realises he is terrified of disappointing his Consultant father. S31 E14 – A drunk Seb makes an ill-judged pass at Dylan and is mortified when he is rejected. S31 E15 – Dylan tries to brush off awkwardness between himself and Seb. 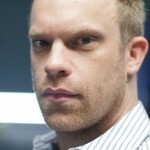 But Seb later makes an allegation against him of sexual advances. S31 E16 – Elle tells Dylan about Seb’s complaint against him. S31 E17 – Dylan is in turmoil following Seb’s allegations against him. Seb later comes clean and Dylan even gives him support as he leaves. S31 E25 – Dylan faces a presentation disaster when he tries to pitch the Booze Bus to the board. 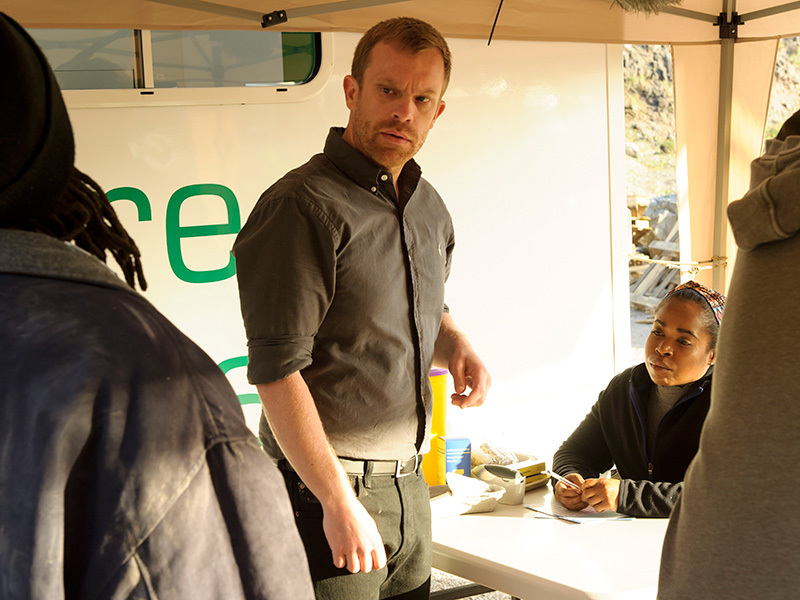 S32 E1 – Dylan becomes emotionally involved in the plight of a boy Sanosi at a refugee camp in France. S32 E2 – Frustrated with the refugee camp, Dylan decides to smuggle Sanosi back to England. S32 E3 – Dylan injures his leg when he falls in a dilapidated boat. S32 E4 – In trying to reunite Sanosi with his uncle – his uncle collapses and is discovered to have swallowed bags of heroin. S32 E7 – Dylan is forced to bring Sanosi into the ED much to David’s dismay. S32 E9 – Louise conflicts with Dylan over him smuggling Sanosi into the country. S32 E10 – Dylan decides to do what’s best for Sanosi and tells him to go to the police station. S32 E13 – Dylan enlists Zsa Zsa’s help to perform surgery on Glen. S32 E18 – Dylan struggles to hold the fort in Connie and Ethan’s absence. S32 E19 – Dylan is pleased to see Zoe in her brief return but doesn’t got into too much detail of how he is struggling. 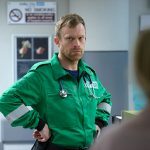 S32 E20 – Dylan considers his position in the ED when the pressures of being acting clinical lead combined with his secret drinking becomes dangerous for patients. S32 E21 – Dylan struggles to keep his alcoholism under control. 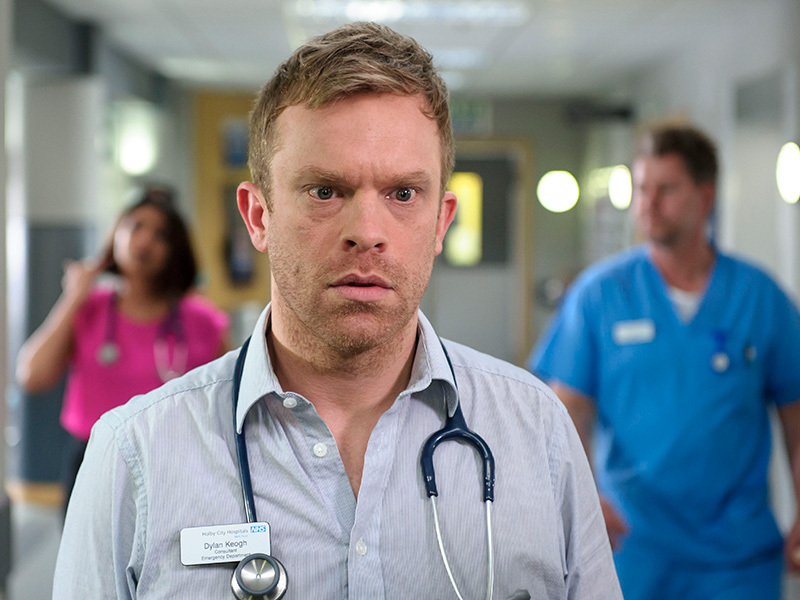 Louise is faced with a dilemma when disheveled and hungover Dylan attempts a life-or-death procedure on a patient. When her attempts to reach out to Dylan are sarcastically rebuffed she’s put in the terrible position of reporting him to Ethan. S32 E26 – Dylan meets Ciara at an AA group. S32 E29 – Dylan learns the extent of Glen’s illness and tries to warn him before he weds. S32 E30 – Bea is concerned Dylan’s alcoholism is affecting his judgement and asks to shadow him. It leads to Dylan and Sam having a showdown about his drinking and their marriage collapse.